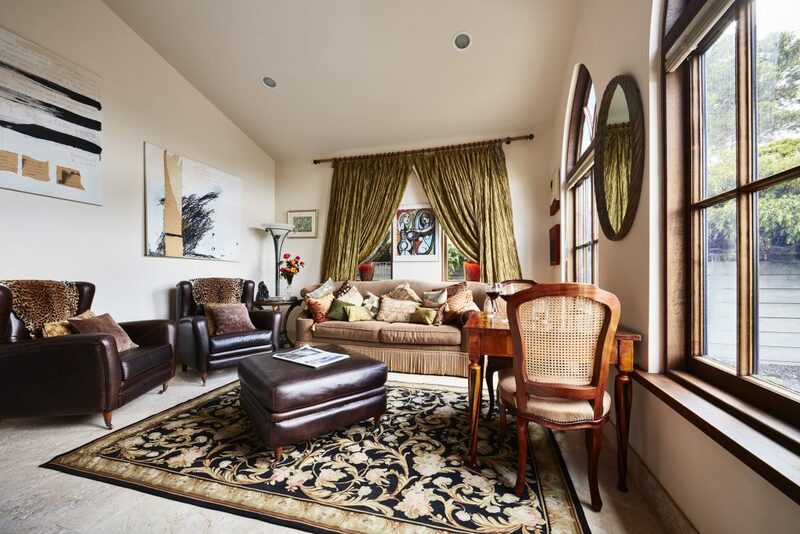 Luxury Accommodation near Wilsons Prom | The Church House. Experience luxury accommodation near Wilsons Prom. 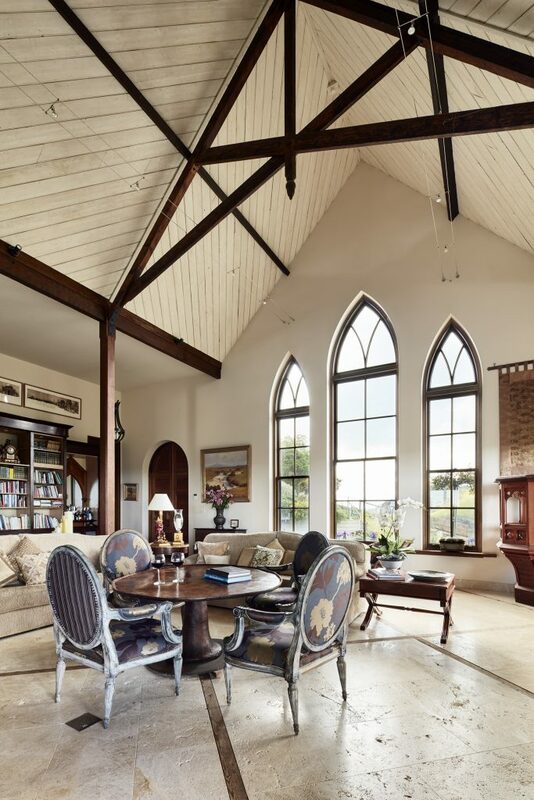 The Church House in Fish Creek offers the perfect luxury accommodation near Wilsons Prom. A leisurely 15 minutes drive and your there at the entrance of this most southern National park ready to explore the bounty of beaches, fauna and flora and the many scenic walks before returning to the quite and comfort of this spacious, stylish and unique residence to enjoy a glass of wine whilst watching the sunset over the hills . 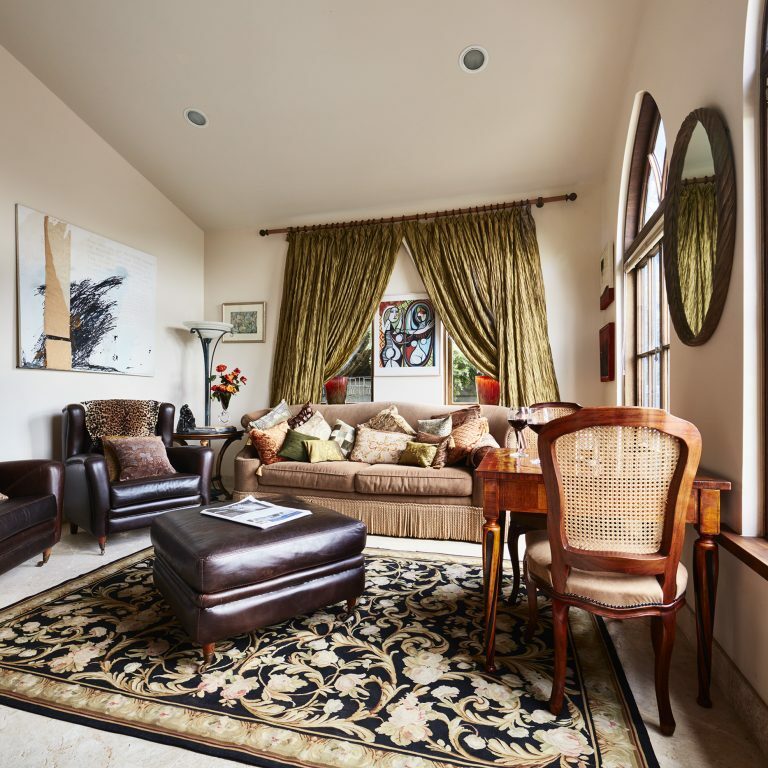 The Church House Gourmet retreat offers guests choice of continental and cooked breakfast. In-house dining showcasing their own and local food & wine is also available. 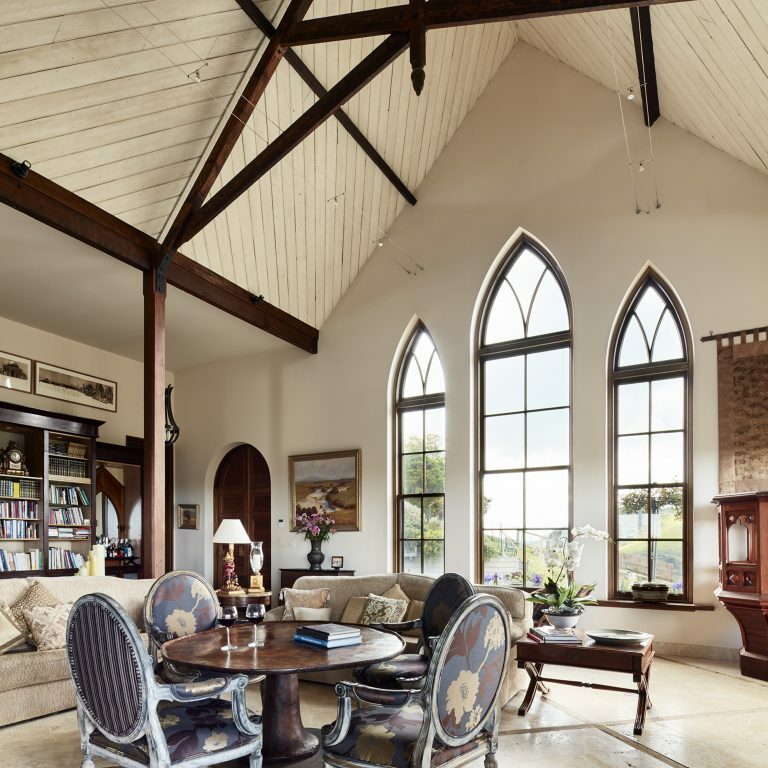 The Church House is the perfect luxury Wilsons Prom accommodation to have that special celebration or to simply relax and reconnect with nature. 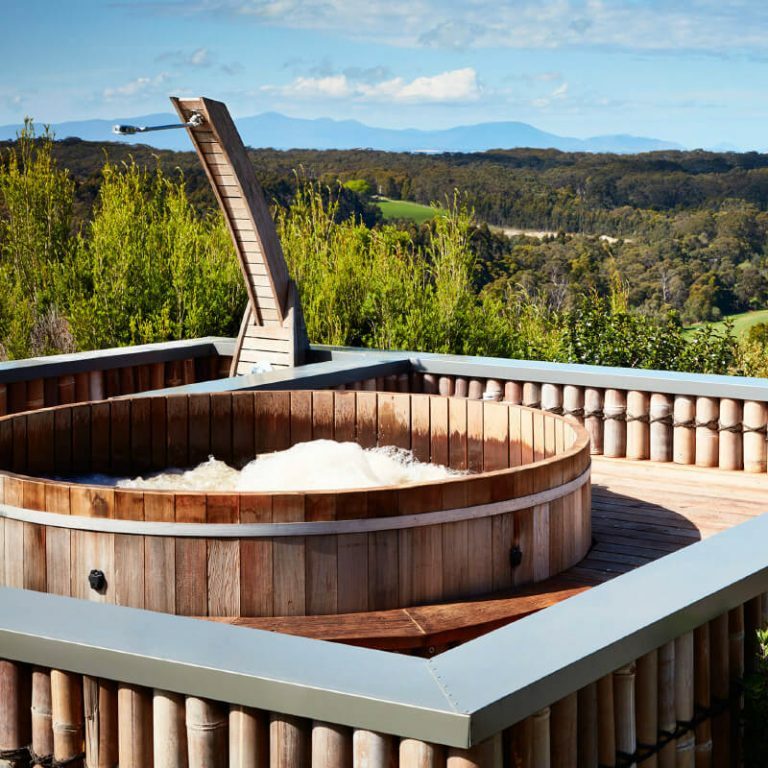 Set in their 20 acre property amid some of Victoria’s most stunning natural vistas your hosts Peter and Mary Riedel, invite you to experience their genuine personal hospitality tailored to your needs. Pre- dinner drinks and canapes are served at sunset to enable guests to enjoy the breathtaking view, watch the sunlight dancing from one hilltop to another whilst waiting for the wine-paired evening meal that highlights their own and local fresh produce. 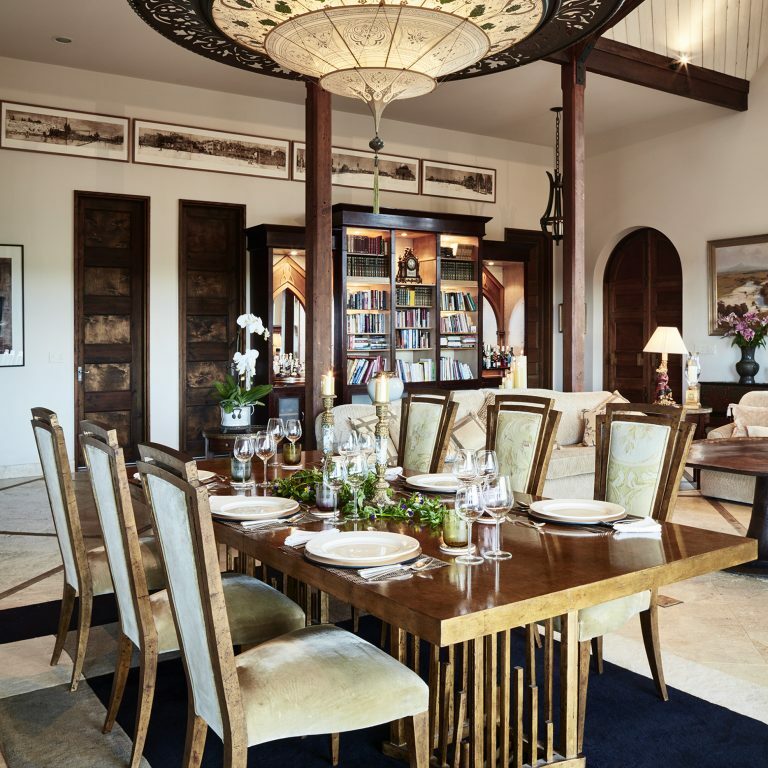 Dinner is served at the communal table with other guests or, if desired, at a secluded table for two. The vaulted ceilings and exposed timber beams epitomise the refurbished Church. 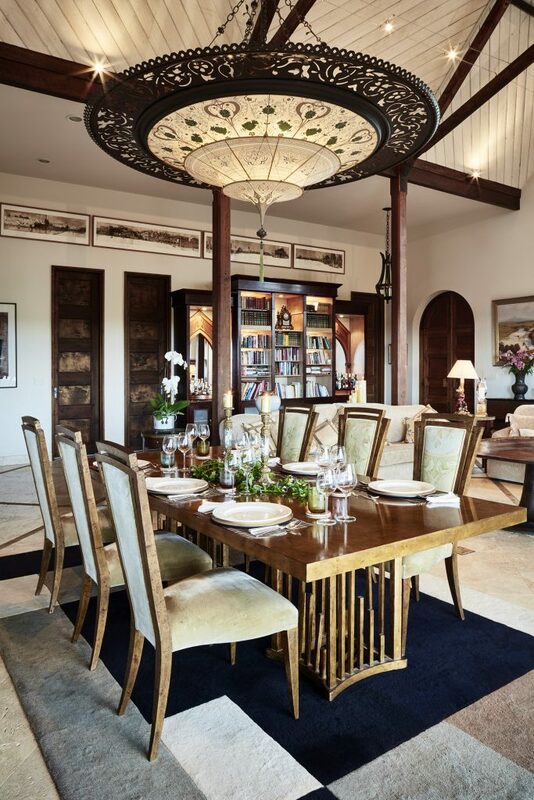 The eclectic furnishings & décor create a relaxed ambience .